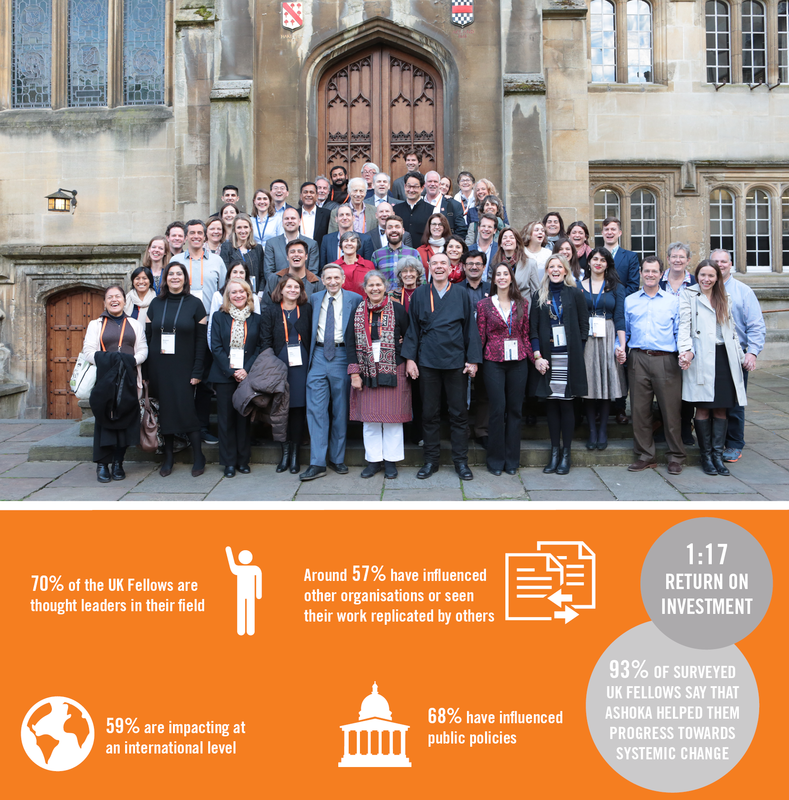 For more than 10 years Ashoka UK has been building a powerful network of the UK’s leading social innovators. We have selected over 40 Ashoka Fellows who are creating systemic change in areas from environmental conservation to criminal justice. With the belief that social innovation and changemaking extend beyond the social entrepreneurship sector and need to be driven by everyone, we have also selected and connected networks of social innovators in the education system through the ‘Ashoka Changemaker Schools’ Network. Our work with Fellows and Changemaker Schools is supported and extended through our network of social innovators in the business world – from individual business leaders who provide expertise, connections, and resources, to companies who partner with us to create focused communities of social innovators in areas like healthcare or the fashion industry. 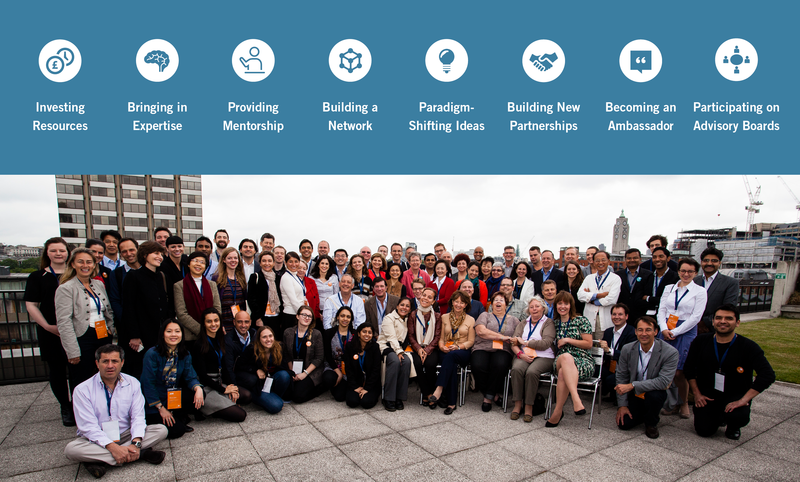 Ashoka’s network of social innovators begins with an ongoing search and extensive selection process to find the leading social entrepreneurs creating systemic change to join the Ashoka Fellowship community. Each year in the UK we receive over 200 nominations for the Ashoka Fellowship, which are reviewed by the Ashoka Venture team and our network of independent advisors. We believe that anyone can become a Changemaker and we want every young person to be equipped and inclined to work for the common good, whether in their family, community, country or across the whole world. Between 2014 and 2017, Ashoka UK elected 15 Changemaker Schools leading innovation in the youth sector. 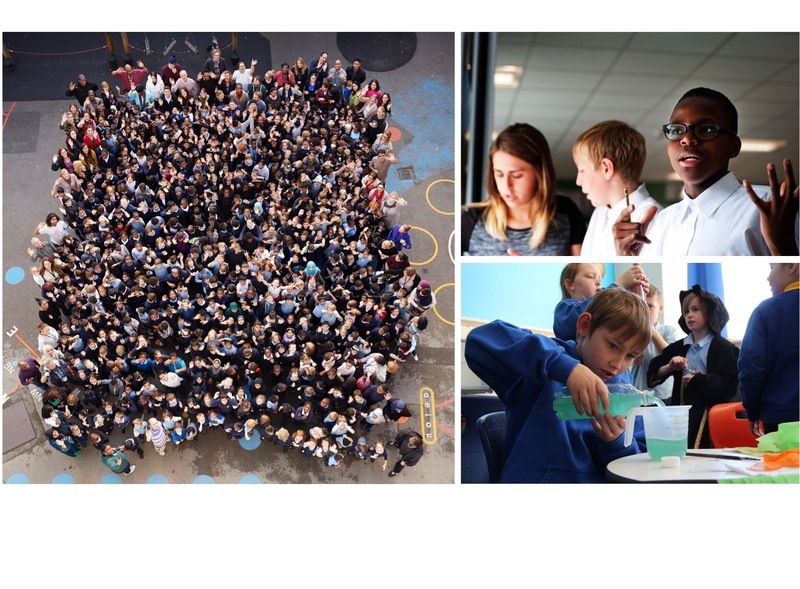 We work to connect these schools and support them in leading the transformation of learning in the UK. The Ashoka Support Network (ASN) is a global community of business leaders from a variety of fields who support Ashoka both financially and strategically. In the UK we have a community of over 35 ASN members who offer their time, networks and expertise to Ashoka Fellows and Changemaker Schools, supporting them to amplify their social impact. Pip joined Ashoka in 2016 as Partnerships Director. Prior to moving to the UK, Pip founded a youth development organisation in South Africa, enke: Make Your Mark. In early 2015, after six years as enke’s CEO, she handed over the reigns to study at the University of Oxford’s Saïd Business School, where she completed an MBA. Australian by birth, Pip has spent the majority of her professional career in South Africa. This has included consulting on innovative finance at the Bertha Centre for Social Innovation and Entrepreneurship; mapping the entrepreneurial support landscape across Africa for the Australian Government’s Department of Foreign Affairs and Trading; and freelance strategy facilitation with organisations like Ikamva Youth. For her work in social innovation she’s been awarded a Skoll Scholarship in 2015, an Ashoka Fellowship in 2014; and she was a World Economic Forum Global Shaper from 2013-2014. She currently still serves on the board of enke as a non-executive director. Elena joined Ashoka in 2013 and leads the selection of new Ashoka Fellows as well as guiding them through Ashoka's rigorous election process. She also manages the Ashoka Support Network as well as the Ashoka Learning Journeys. Previously, Elena worked at Convoco - a think tank that seeks to drive social change by convening leaders from business, politics and academia. She also volunteered for the philanthropy consultancy GivingEvidence. Elena holds a BA in Business Administration from Free University Berlin and a MA in Philosophy and Public Policy from the London School of Economics, where she specialised in the philosophy and politics of climate change. Tatiana manages the search and selection of new Ashoka Fellows in the UK. Prior to joining Ashoka she served as a Peace Corps Volunteer in Morocco focusing on youth programming and sport for development. She has extensive experience in the NGO sector working as a researcher, journalist, facilitator, and program manager. Tatiana holds an MSc in Gender, Development and Globalisation from the London School of Economics and is pursuing a PhD in Social Policy at the University of Edinburgh. Florian manages Ashoka's community of Fellows based, or active, in the UK. He also leads on events in the UK and organises a European wide event in Germany for young social entrepreneurs. Florian's passion and expertise focuses on system change and impact measurement. He holds an undergraduate degree in international economics and a graduate degree in social entrepreneurship, studying in the Netherlands, US, UK, and Kenya. Before joining Ashoka, he worked as a social impact consultant on strategy, organisation, and communication. He is also the co-founder of a mobile healthcare solution honoured by the Clinton family, the education network Our Future World aimed at building the aspirations of children and its #TweetADream campaign which reached 25k young people in 35 countries. Anna joined Ashoka UK in 2016. She graduated from Trinity College Dublin in 2007 and spent the following two years in Ecuador, learning and working alongside the Achuar tribe in the Ecuadorian Amazon. On returning to the UK, Anna joined the Teach First programme and taught for 6 years in Croydon, Lambeth and Rome. Fascinated by the range of learning styles she had encountered, she undertook a MSc in Social Anthropology with Learning and Cognition at the London School of Economics. She now works for Ashoka UK part-time while setting up an education programme on her partner's farm in Norfolk. She is passionate about connecting all children with positive experiences of nature, farming and the outdoors. Clarice joined Ashoka in February 2012. After restructuring the UK office Operations, she supported the creation of the Ashoka European Hub in 2014 and since then splits her time leading finance and HR in the UK, and integrating finance teams across Europe and with Ashoka global office in the US. Prior to relocating to the UK, Clarice worked for 11 years with tourism management and destination marketing in Rio de Janeiro (Brazil), Tours and Clermont-Ferrand (France). She also holds a Master’s degree in Sustainable Tourism Management where she specialised in community-based tourism. Aroa joined Ashoka in 2013, starting her journey at the Spanish office. After working for 4 years in Spain and the UK in Operations and Partnership Development, in November 2017 Aroa joined the Global Partnerships team, where she now works managing the global engagement with Philips Foundation, focused on increasing access to healthcare for disadvantaged communities. Aroa holds a degree in International Relations with a focus on sustainable development and international security. She also has a BA in Translation and Interpreting, where her research focused on intercultural mediation and interpretation in conflict zones. She’s based in London, where she spends most of her time exploring the city’s beautiful parks and the great countryside. Arianna is Partnerships and Products Manager for Ashoka Changemakers and the Executives in Residence program. Her role involves working with partners to identify social innovators worldwide and assess their potential for Ashoka fellowship, connect them in powerful communities, and develop strategies to help them scale their impact. As part of her role, Arianna also works directly with companies to help them deepen their knowledge, expertise and experience of social innovation, and increase their social impact. Since moving to the UK in 2014, Arianna has founded two sustainability-related initiatives, Old Street Food Assembly and The Sustainable London Community. Before moving to London, she has lived in Milan, Berlin and San Francisco, where she has worked in the human rights field. She holds a BA in foreign languages and literature and a MA in political studies. Alex manages search and selection of new Ashoka Fellows in the UK. Prior to this she spent several years working in South Africa, focused on growing social entrepreneur networks and youth activist movements. She has extensive experience across the civil society sector as a writer and CSR strategist. She graduated with a BA in Film and Media, and calls Cape Town and London home. Michelle joined the operations team in June 2018 and looks after Ashoka UK’s Finance, Operations and HR. Previously, Michelle spent 11 years working in retail for a tool retailer where she climbed up the corporate ladder from Customer Service Advisor all the way to Chief Administrative Officer. She looked after Accounts, Human Resources and also developed operational changes throughout the business to adapt to the company’s growth. Michelle is part way through her accounting studies and also plans to study employment law, with the aim of raising awareness and lobbying for changes in the current legislation, specifically to reduce the impact it has on the most vulnerable people in society within the UK.